Employee Badge And Visting Card Creator is a professional employee badges and visiting card designing and printing software., which enables you to create cards and print them out with your own id card printers or inkjet/laser printers. and with its inbult data management features that enables you to manage all your member data! The data management features can help you manage all your employee and visitor data with just few click, it supports Access , Excel and SQL databases for data storage. Statement: First, please download the orginal installation package by clicking the download link. Of course you may also download it from the publisher's website. 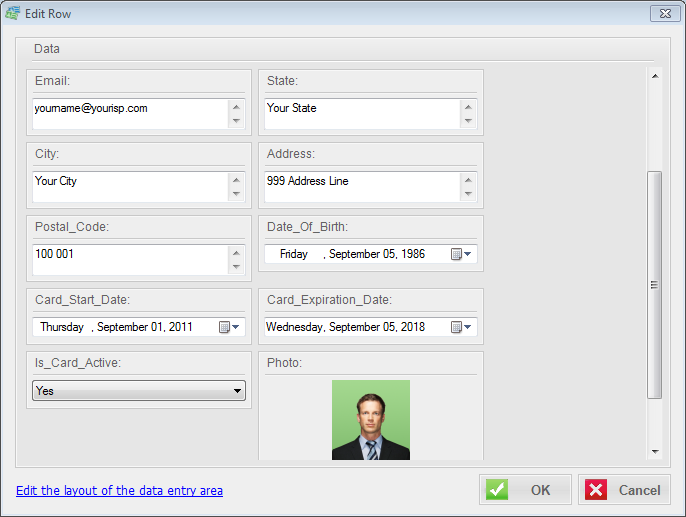 Using Employee Badge And Visting Card Creator crack, key, patch, serial number, registration code, keygen is illegal. The download file hosted at publisher website. We do not provide any download link points to Rapidshare, Hotfile, Depositfiles, Mediafire, Filefactory, etc. or obtained from file sharing programs such as Limewire, Kazaa, Imesh, Ares, BearShare, BitTorrent, WinMX etc. Software piracy is theft. If you like Employee Badge And Visting Card Creator please buy it.